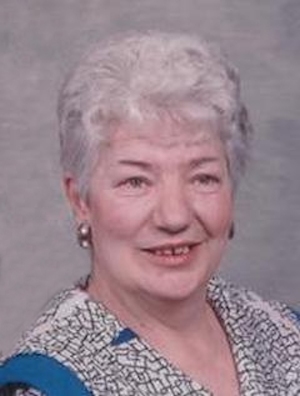 Obituary – Atwell, Thelma Marie (Hise) « Perry High School Alumni Association, Inc. Pep club 53-54, Library Staff 53-54, Class Assembly 53-54. Thelma (Hise) Atwell, an Oilton resident, passed from this life at her home on Monday, August 6, 2012 at the age of 74 years. Funeral services have been entrusted to the care of the Palmer Marler Funeral Home in Oilton and will be held at 2:00 p.m., Friday, August 10, 2012 in the Memorial Park Cemetery Chapel, Tulsa, OK with Pastor Andy Haskins officiating. Interment will be held in the Memorial Park Cemetery, Tulsa, OK. The Atwell family will be receiving friends and family at the Palmer Marler Funeral Home in Oilton on Thursday from 5:00 p.m. until 7:00 p.m. The family requests that in lieu of flowers, memorial contributions may be made to the American Legion Post #98 in Oilton, OK.
Thelma was born on May 4, 1938 near Perry, OK, the youngest of five children born to Ed Hise and Bertha (Hamblin) Hise. She married W.T. ‘Dub” Atwell in Gainesville, TX on November 17, 1962. They made their home in Tulsa for many years, moving to Oilton in 1995. Thelma enjoyed a long career with Standard Oil Company. She loved dancing and organized weekend dances for many years through the American Legion Ladies Auxiliary in Oilton. She served faithfully for several years as a member of the Oilton City Council. She is survived by one sister, Wilma Albin of Midland, TX and one brother, Ramon Hise and wife Erline of Perry, OK numerous nieces, nephews, and other relatives and friends. 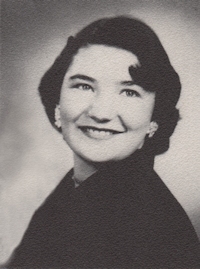 Thelma was preceded in death by her parents, husband “Dub”, stepsons, Dale Atwell and William “Bill” Atwell, one step grandson, Robert Atwell and her brothers, Donald and Charles Hise.